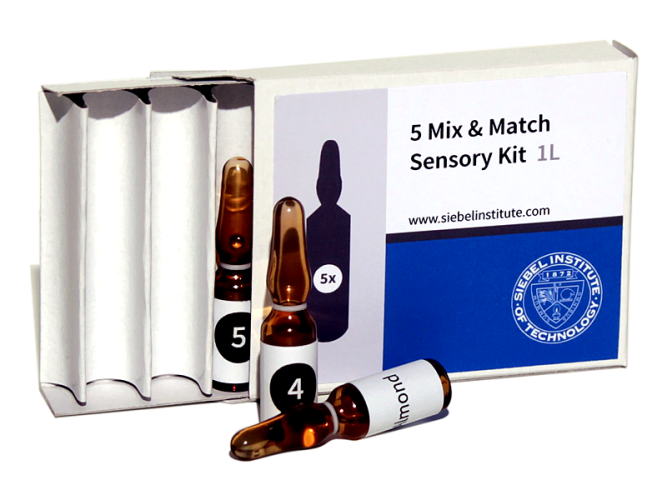 The 5 Mix & Match Sensory Kit offers a set of 5 vials for sensory training. The kit can be fully customized by simply choosing a total of 5 flavor compounds from all the flavor and aromatics available. Allowing maximum flexibility for specific variety requirements, this kit can be tailored to fit your individual needs. Each vial allows for spiking 1 liter of beer.